Need to say farewell to sunburns and tan? Apply a sunscreen before you venture out of the house and reapply every couple of hours. 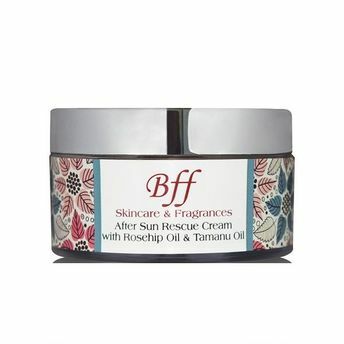 BFF After Sun Rescue Cream gives your complete solace while going outside in the sun for a longer duration. Infused with natural ingredients it not protects your skin from harmful UV rays but also keeps it moisturized for a long time. Rosehip Oil: Extremely high in essential fatty acids. Rich in vitamins and antioxidants. 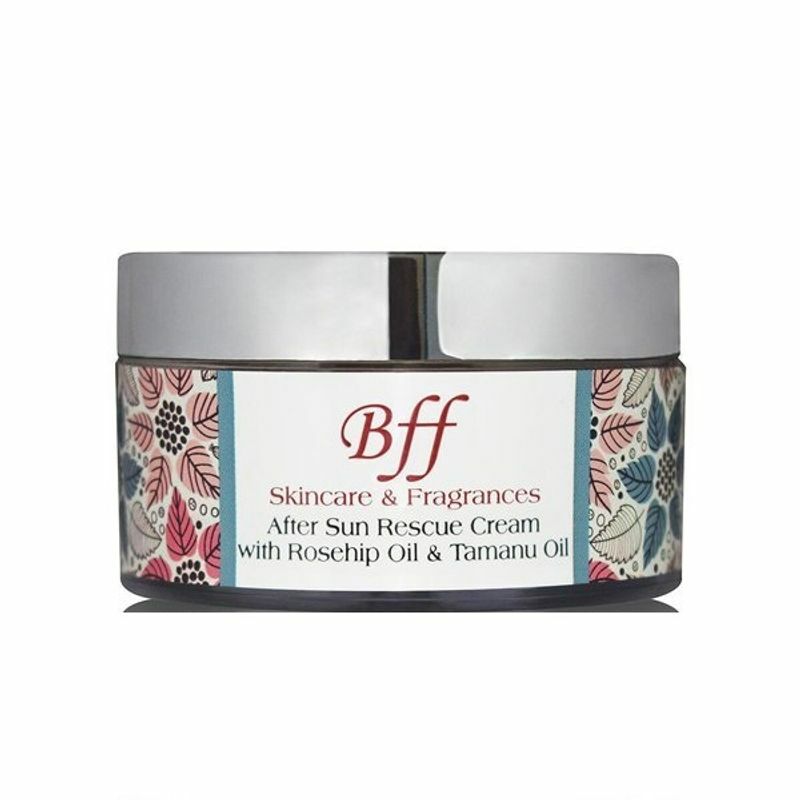 Tamanu Oil: Extremely high in essential fatty acids.